Berry Bros. & Rudd announced its collaboration with Scottish photographer Lindsay Robertson to launch the first in a series of limited edition, aged blends named The Perspective Series. Crafted by Doug McIvor and decorated with images of majestic Scottish landscapes, taken by award winning photographer Lindsay Robertson. 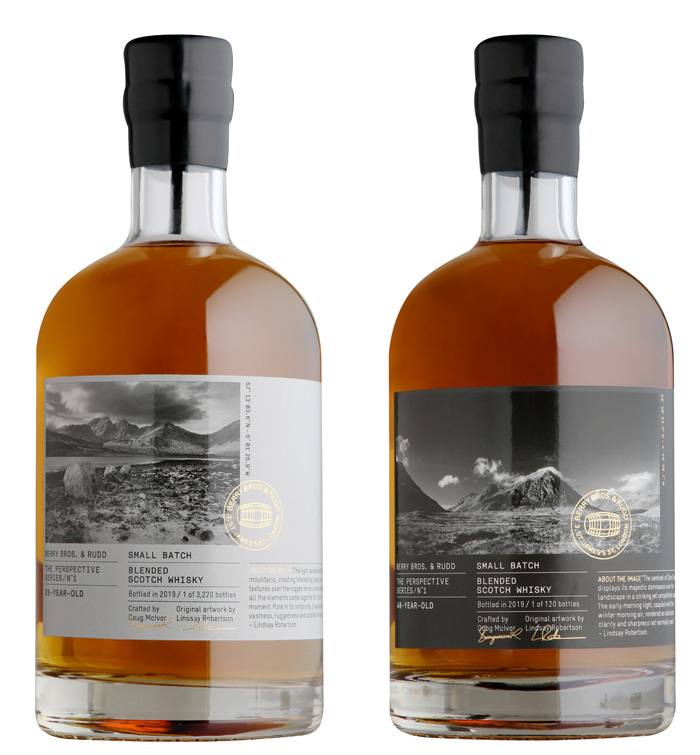 The images have been carefully selected for each label to portray a visual metaphor of the flavour of the whisky. Doug McIvor’s mastery at blending small batches of Scotch, merges with the skill of capturing the Scottish scenery through the eye of the lens, to create a bottle of whisky which reflects artistry inside and out.